Steinberger refers to a series of distinctive electric guitars and bass guitars, designed and originally manufactured by Ned Steinberger. 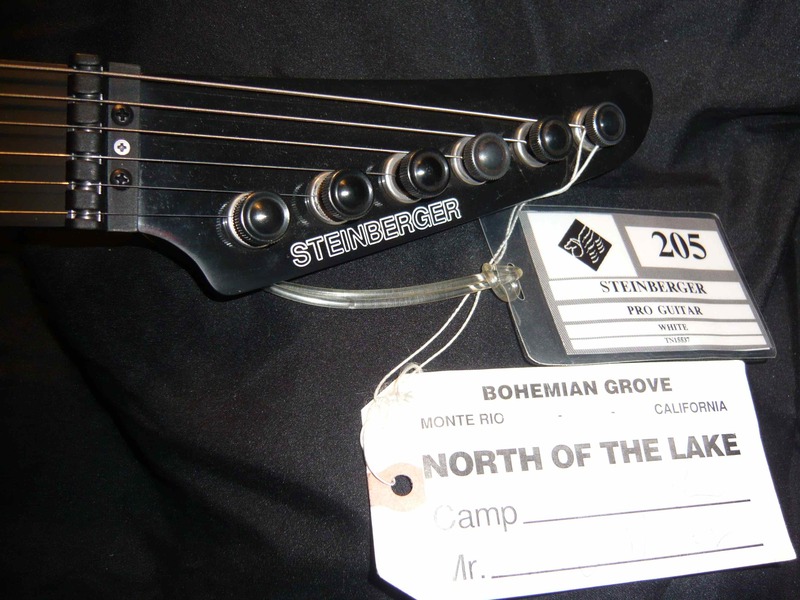 The word Steinberger can be used to refer to either the instruments themselves or the company that produced them. Although the name has been applied to a variety of instruments, it is primarily associated with a minimalist "headless" design of electric basses and electric guitars. The most famous Steinberger design is the L-series instrument, sometimes described as shaped like a broom, boat oar, or cricket bat. 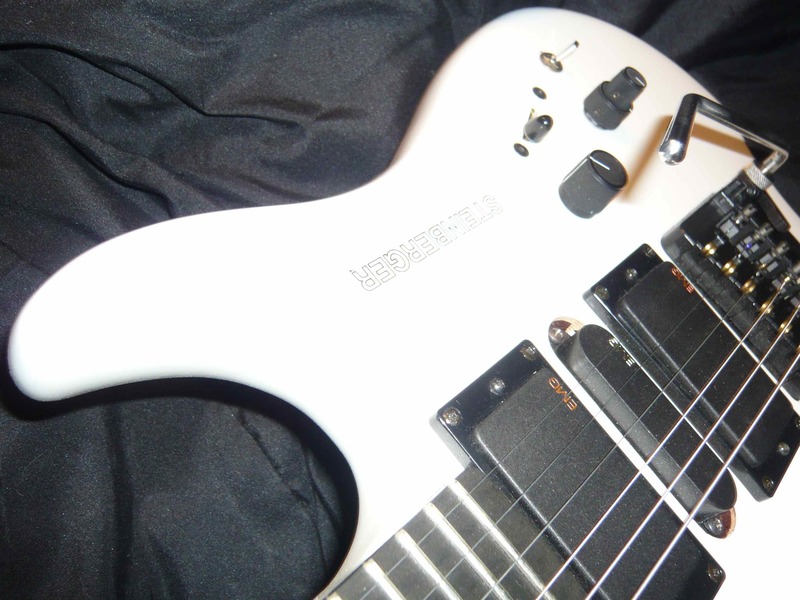 Initially produced as an electric bass and later as a guitar, the instrument was made entirely of the Steinberger Blend, a proprietary graphite and carbon fiber mix in two pieces: the main body and a faceplate. It had no headstock for tuning, tuning instead at a redesigned tailpiece using micrometer-style tuners and special strings with a ball at both ends. This design quickly became known as headless. The rationale for the overall design was the elimination of unnecessary weight, especially the unbalanced headstock, and the use of modern materials, such as graphite, for their advantages over older materials. The all-synthetic construction gave a very smooth sound and feel, immediate note attack, and very even tonal response. Depending upon the preferences of the listener, this was either a good thing, as it made the instrument sonically clean, or a bad thing, as it made the instrument sound synthetic and unnatural. Steinberger was and still is proud of this dichotomy and one of their slogans was "We don't make 'em like they used to." Another innovation created by Ned Steinberger for some of these instruments was the TransTrem, a patented transposing tremolo assembly that detuned the strings in tensional parallel, so that the entire tuning of the instrument could be changed immediately with one knob, and chords played during tremolo use (up or down) stayed in perfect tune. Additionally, the TransTrem had a small stepped stop, which allowed the TransTrem to essentially act as a capo. Bass and guitar versions were available. Several other series were built during the years (P, G, M, K, Q, S and Synapse Guitars). 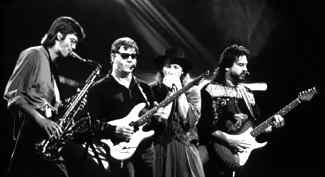 This guitar was Steve Miller's guitar for a long time. 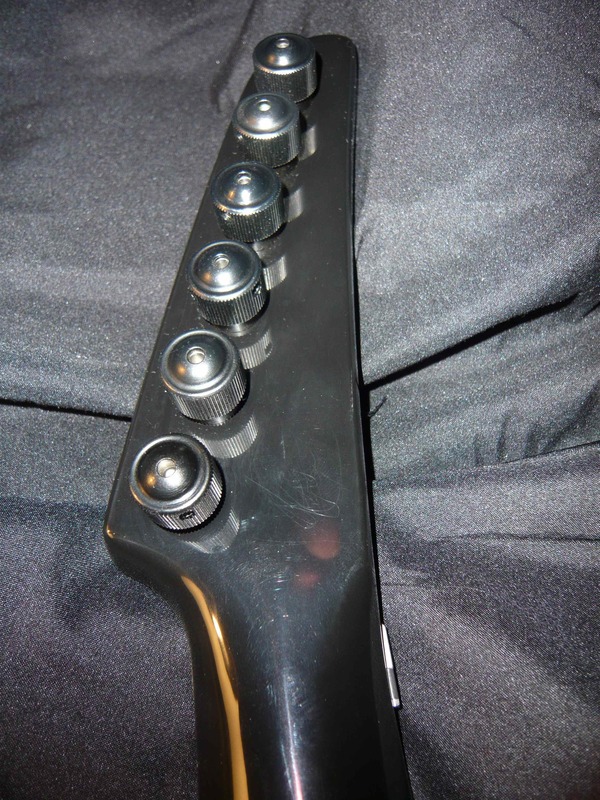 This is the reknown "Headstock" model from Steinberger known as the GS7TA. 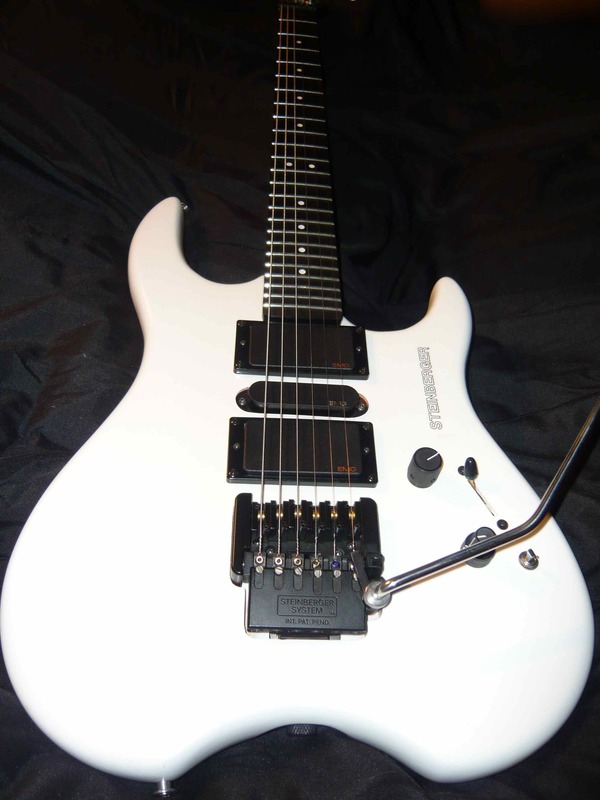 The G-series was the only Steinberger guitar which featured a headstock and is very rare with about 300-350 built. 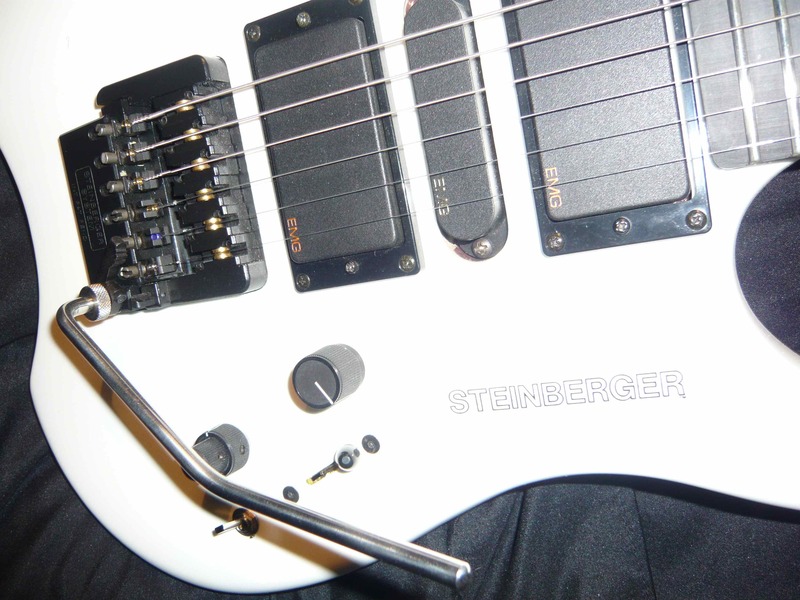 The guitar featured Ned Steinberger's 40:1 gearless tuners. It is indeed a GS and it has the highly coveted TransTrem. This allows for transposing into 5 other keys (Up to F# and G and down to D, C and B). This was an American-made instrument and was made in Nashville, TN. 24 jumbo frets and a phenolic fingerboard - all graphite composite neck with no truss rod. 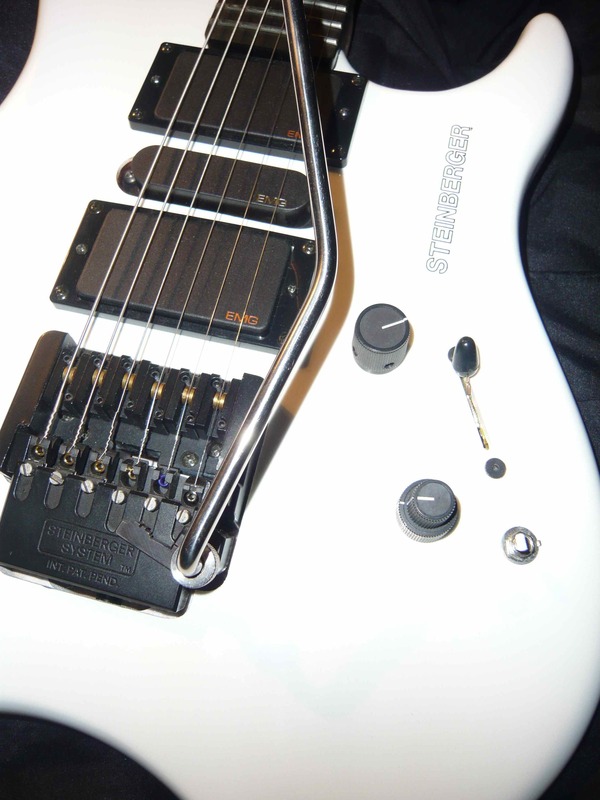 This model had a Hum-Single-Hum pickup configuration with EMG pichups. 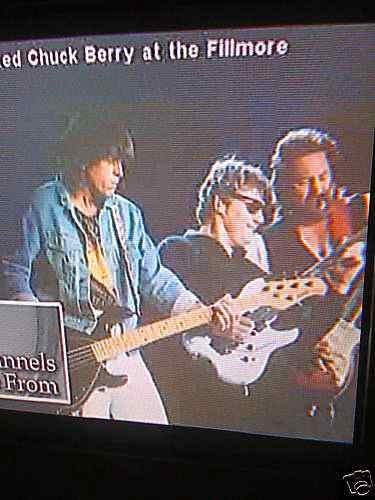 This guitar was used live by Steve Miller in concerts and can be seen in some TV transmission (tribute to Chuck Berry).